The Unit History section is a continuing effort compiled by Milt Fulghum, Editor. Updates will be posted when they are received. Please send any additions, comments or corrections directly to Milt. 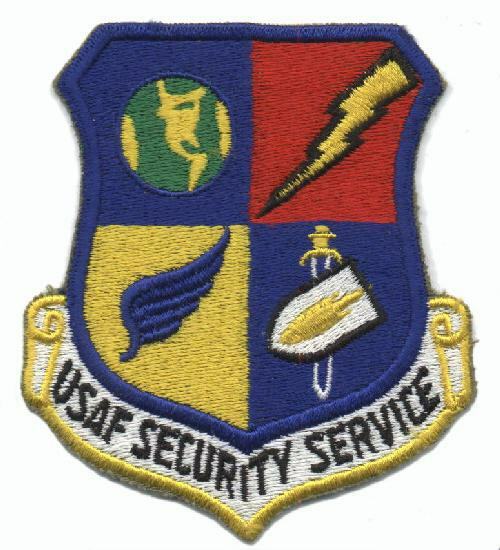 In July of 1955 the Commander of the 6900th Security Wing of the US Air Force Security Service (USAFSS) in Germany issued temporary duty (TDY) orders for a team of intercept operators to survey various locations in West Pakistan for their suitability as radio signals intercept sites. It is not known if any particular world event triggered the need for at listening post in West Pakistan. What is known is that in 1955 the US and the Soviet Union were in the midst of the Cold War. The US wanted to know everything that could be learned about the strategic military capabilities of the Soviet Union. West Pakistan had consented to assist the US in obtaining information by hosting various US sensor activities. It was determined that the survey orders could best be implemented by assigning operators from an existing site in Libya to the survey team to by led by officers and senior NCOs from other locations. Several plane loads of men and equipment were flown to West Pakistan to conduct the survey. After evaluating a number of other sites, the survey team strongly recommended that the new site be located near Peshawar in the Northwest Frontier of West Pakistan. In 1958 the USAFSS began marshalling equipment for a site at Peshawar as Project SAND BAG. Then Capt. Luther A. Tarbox was placed in charge of the effort to collect men and materiel and get them all to Peshawar. The tasks included finding equipment, getting the equipment refurbished to “like new” conditioning, getting visas and health processing for the men, making transportation arrangements, and getting everyone and everything to Peshawar. The personnel were assigned both on TDY from Europe and PCS from the US. The movement to Peshawar took place in the summer of 1958. Roughly twenty plane loads of men and equipment were flown to Peshawar. A temporary operating location was setup at the Peshawar airport. Several vans contained the equipment. 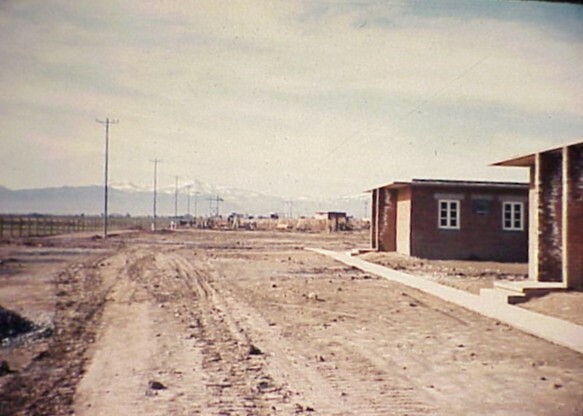 While permanent facilities were under construction, the personnel were housed in local hotels (photo on right is commander's office at Deans Hotel). By the end of 1958 enough of the new facility was completed to provide partial support to the temporary site. Most important was a quiet place to sleep and uncontaminated food. Many men of the initial cadre had suffered severe bouts of dysentery. Construction of Peshawar Air Station included administration buildings, H-type barracks, dining hall, movie theater and a gym. Of course, an operations compound was included to house the specialized equipment used for collection of a variety of data types. Additional construction projects added a bowling alley, a nine-hole golf course, dependent housing, dependent school for grades K through 7, and expansion of the operations compound. By 1968 the operations staff at Peshawar had grown to 800. Another 500 support personnel provided essential services ranging from mail handling and cooks to recreation and chaplains. The dependent population is uncertain. Also, in 1968 the Government of Pakistan advised the US Government that, when the ten-year lease expired in July of 1969, the lease would not be renewed. After considerable negotiations, the US vacated the station in July of 1970 bringing an end to an era of US operations in Pakistan. The above is but a thumbnail sketch of the history of Peshawar Air Station. The following chapters will provide additional detail about the installation, the people, and the mission of Peshawar Air Station. It is still unclear what the original purpose of PAS operations were. Further research is needed in this area. Speculation is that the US wanted information on Soviet ballistic missile and missile launch capabilities. Intelligence sources had located a number of launch complexes within the Soviet Union. These complexes served as both ballistic missile research facilities and space program launch facilities. A number of US university professors had proven to US intelligence agencies that much information about capabilities could be obtained from telemetry. This was no small feat because these agencies initially thought that there was no chance that anything useful could be obtained. The professors took this as a challenge. They outfitted a number of vans and took them to the hills overlooking the US missile test range at White Sands, NM. They recorded telemetry from several missile tests and took the data back to their university for analysis. They were successful in determining specific parameters associated with each launch. The professors took their results to the test conductors at White Sands and briefed them on what they were able to learn from the telemetry. This served as proof to the intelligence agencies that the professors were correct about the potential for getting useful information from telemetry. The problem then became that of collecting telemetry for analysis. The nature of telemetry signals is such that they can only be recorded while in near line of sight with the source. That means the recording facility has to be close to the telemetry source. Since a number of the Soviet complexes were in the southwestern regions of the Soviet Union, Pakistan became a prime candidate as a recording facility. A number of other US facilities in the region also were identified as candidates. The survey team consisted of roughly 50 USAF personnel. The enlisted operators were from a site in Libya. The NCOs and officers were from USAF Europe. Indications have been noted that the Libyan site was in the process of closing at this time, so perhaps the enlisted operators were a convenient source of operators for the survey of site in Pakistan. Various PAS veterans have described a number of different routes that were used in getting GIs to PAS. The changes in routes are primarily associated with the introduction of various new transport aircraft. The route described below was used in the late 60s and was implemented with USAF C-141 Star Lifters. Charleston AFB served as a main terminal for the USAF personnel passenger service. Flights departed on a regular basis to points east and south. Travel orders typically assigned each individual to a MATS flight number with instructions to check in a few hours before the scheduled departure time. Everything seemed to be very routine. However, in the case of a friend that departed a few weeks earlier than the author it was anything but routine. When he checked in at the passenger desk, the clerk pointer to a Braniff Airlines contract Boeing 727 aircraft outside and said that was his flight. He asked the clerk if that plane was going all the way to Pakistan. The clerk repeated that was his flight and he should get boarded. Sometime during the progress of the flight he learned that it was bound for Panama instead of Pakistan. The plane was loaded with special operations troops on their way to Jungle School in Panama. On arrival in Panama he checked in with the clerk there. The clerk checked his orders and told him that he was in the wrong place. He told him to get back on the same plane and go back to Charleston. So back to Charleston he went and then caught the flight to Pakistan. The stop at Torrejon was for crew rest. We arrived in the wee hours of the morning. The ground crew at the base shuttled us off to the transient airmen's quarters so we could get some sleep. The flight was due to depart in about 8-10 hours, so we decided to get a few hours sleep and then go sightseeing in Madrid. Once in Madrid, we piled into a taxi and had the driver show us around the city. Since we were there between Christmas and New Years Day, the seasonal decorations were still on display. without incident before we departed. During my final weeks at PAS, I had a number of recurring bad dreams about being mobbed at Peshawar Airport in the process of leaving for Karachi on the way out of the country. When my transportation out was finally arranged everything seemed to be going well on the PIA flight until we got to the scheduled stop at Lahore. Our plane was met by a guy from some US agency. He said we were to deplaned in Lahore with our baggage and await further instructions. All of the GIs on the airplane were taken to a local hotel. The hotel was straight out of one of the Shirley Temple movies. We were told not to unpack and be ready to leave on short notice. Finally, around 3:00 AM, we were taken back to the airport and loaded unto another airplane. During all of this time, no explanation was given as to what was going on. We arrived at the Karachi airport at about 5:00 AM and were loaded on a bus to the Karachi Intercontinental Hotel. Along the way it became obvious why we were detained in Lahore. There had been a huge anti-American riot in Karachi the previous evening. The last thing the US authorities wanted was a bunch of GIs trying to get through the mob. Well, it wasn't exactly the same as my nightmare, but it was close enough. When we finally got to the hotel the clerk didn't want to give us a room because we had not registered for that night but the night before. We were all tired and wanted to get cleaned up before getting on the C-141 that afternoon. Finally, the hotel relented and assigned about five to a room to get freshened up for the next leg of the trip. It was pretty easy to get around the Peshawar area. The station operated a shuttle base from the station into town on a regular schedule as long as the political situation in town was considered safe. Once is town the easiest and safest transport was by horse-drawn two-wheeled cart. There also a Cushman scooter version of the same that was considered a suicide cart. If there was a accident with on of these the passengers went out the front head-long. The Khyber Pass had at least two major thoroughfares. One was an asphalt paved two-lane motor vehicle road. The road was relatively well maintained. The traffic was mostly trucks with a few buses and cars sprinkled in. The Pakistani vehicles usually had no unused space. Buses had people packed inside, hanging on the outside, and sitting on top. Cars were similarly packed. We were once passed by a 1950 Chevrolet that had about seven people inside and another two sitting in the truck. The village of Landi Kotal was also known as Thieves City. This name came from the belief that most of the goods on sale in the city was stolen from transports passing through the Khyber Pass. The shops were stocked with a wide variety of products at reasonable prices. One quickly learned that the prices were very negotiable. 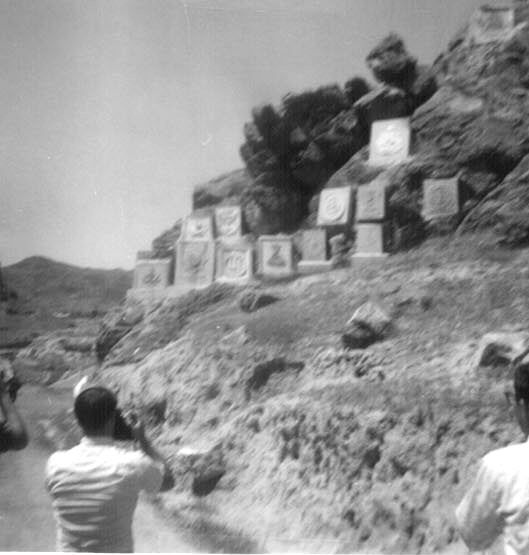 The hills around the border area had very large clock faces constructed from white rocks with a single clock hand made from a white wooden pole. On other hills in the area were large numbers also constructed from rocks. One theory on the purpose of this was to provide coordinates to aircraft without the use of radio communications. A primitive solution in a primitive part of the world. Many of the PAS veterans have mentioned trips to the Mangla Dam and the construction community there. The PAS softball team played the team from Mangla. A number of the guys made some lasting friends among the folks. R&R Trips - Bangkok - New Delhi - and all other points of interest in, around or associated with a tour at PAS. Most recent information indicates that the facility the was USAF Peshawar Air Station is now Pakistani Air Force Badaber Air Station. 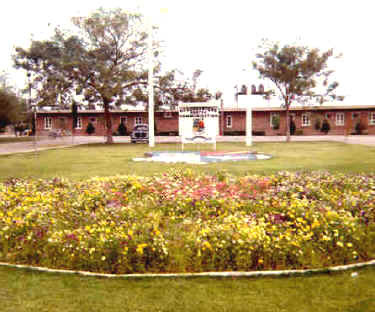 The PAF uses the facility as a Basic Staff School. 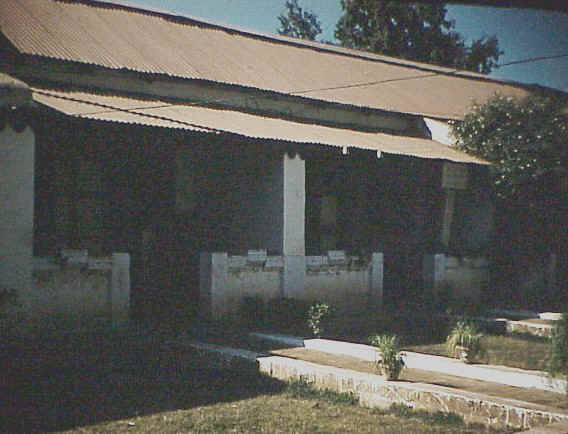 Reports from visitors to the facility in the 1990s indicated that the facility is well maintained except for a few of the buildings that are not in use. Dates: Apr 59 - Apr 60. Col Long was identified as a possible commander. This needs to be confirmed. His full name needs to be completed. The command dates given are estimated from what is believed about tour lengths during that period. Dates: Apr 60 - Jun 61. Col Spooner was identified as a possible commander. This needs to be confirmed. His full name needs to be completed. The command dates given are estimated from what is believed about tour lengths during that period. Dates: Jun 61 - July 9, 1963. Col Hyde identified Col Goerder as the commander he relieved. The beginning date is an estimate and needs to be confirmed. The ending date is from Col Hyde's orders and should be accurate. Col Goerder passed away in 2000. Dates: July 9, 1963 - July 4,1965. Col Hyde provided this information from his orders. beginning date is from Col Hyde's orders and should be accurate. The ending date is an estimate and needs to be confirmed. conversation with Col Eubank. It would be nice to have the dates down to the day. ending date is needed. Need to also confirm that the ending date is the actual closing of the station, i.e., nothing further was happening at Peshawar. Stay tuned - more to come . . . . . . . .
1 E-mail message from member of survey team, Tenet(?). 2 Need to verify source. 3 E-mail message from member of survey team, Tenet(?). 4 E-mail messages from Col Tarbox. 5 Message from US Ambassador to Dept of State. 6 Letter from Mrs. Hyde to Mrs. Eubank. 7 Various communications compiled in Johnson Administration Foreign Relations Papers. 9 Kux, Dennis, The United States and Pakistan, 1947-2000: Disenchanted Allies. Washington: Woodrow Wilson Center Press, 2001.